Please note the list of missing is farther down on the page, but please take the time to read the paragraphs before to get a complete understanding of what is going on in the area. With 40 people missing from two adjoining counties, is it something sinister or is it just a coincidence? Please note: A Facebook page for the Missing Texas Forty has been created on 2/14/13. Please stop by and like and bring your support and your thoughts! You may want to look at this list of unidentified missing from Montgomery County Texas. About 10 months ago, I was contacted by Jerry, the brother of missing Larry Baker that disappeared in Liberty County in 2010. Jerry told me about Larry and he also brought up the name of another person, Rodney Stokely that was missing from the same small town in Texas called Cleveland. Cleveland, Texas has a population under 8,000 people. Two people missing from one small town seemed usual to me, and you would think that the odds would have it that the police would have found at least one of these men. When I wrote up the article, I mentioned that I thought the number was high and I received an email from Helen Harriman-Oliver. She told me that the comment I had made about “two people missing, especially two people living only blocks from each other is unusual,” and she was interested in taking a closer look at that county. As Helen did her research, she came up with several more names in Liberty County and several more from the adjacent Montgomery County, and emailed me a map she had put together. As I was looking at it, my son, who is planning on becoming a U.S. Marshal when he grows up, said he saw a pattern, but there were a couple of spots missing. So, I typed in the town along with the word missing person and sure enough a name popped up. I typed in another town where there was a missing spot on the map, and another name of a missing person came up. This new information warranted further investigation to see if there were more in that particular county. I contacted Helen and after her extensive research in the two adjoining counties of Montgomery County (population 450,000) and Liberty County (75,000), she came up with an astounding 39 people missing. Then yesterday another name was added raising the number to 40. In the whole state of Texas with a population of over 25.5 million people, there are 708 missing persons listed with the Texas Department of Public Safety’s Missing Persons Clearinghouse. Texas has the most counties in the U.S. at 254. So if you average it out, that would mean there would be about 2 and ¾ people missing in each county of Texas. If I reduced the counties in half to 137, then the number would rise to about 5 people per county. Still not close enough to what Montgomery and Liberty Counties were showing with 40 missing people, 7 from Liberty and 33 from Montgomery. While doing the research for this article, I wanted to compare these two counties with others in the U.S., but it was hard to find overall statistical information and listings of missing persons. I did find some interesting information about Alaska, that is nicknamed the Land of the Lost. Alaska in 2005 had 650,000 people in the whole state, less than the city of San Francisco, but comparable to the combined population of Montgomery and Liberty counties. According to the LA Times, “on average, 5 of every 1,000 people go missing every year, roughly double the national rate…Alaska has the highest percentage of people who stay missing” with a compiled list of 1,100 people who “remain” lost. This information is interesting but still 6 years old. What was realized during the research is that the information is spread all over and there is no standard—every county and state reports missing persons differently. Law enforcement agencies are faced with personnel shortages to update their databases, and each jurisdiction reports the various classifications of the missing differently. “A great example of this void is the literal void for Liberty and Montgomery Counties on this map (map is no longer there). As luck would have it, that map has one I hadn’t found elsewhere here (link no longer there) and I just found this listing with Rita Mae Hughes, who I also did not have,” Helen said. According to the Texas Dept. of Public Safety Clearing House, they show 14 people missing in Montgomery County and 4 in Liberty on their website, which is about half of what Helen found. Why is this? According to Tara Lindborg from the Clearing House, “Not every person that is reported missing is listed on our site. We do not use a set criteria to put someone on our website. If a family wants someone to be listed all they need to do is call.”An example of this is written up in this article about the missing in Wisconsin.”Entering a missing person into the TIME system does not place the information into the Wisconsin Clearinghouse for Missing and Exploited Children and Adults. Dana Brueck, communications officer with the Wisconsin Department of Justice, said, “It is up to local law enforcement and the family of missing persons what additional dissemination takes place.”This can be a problem, if there is a serial killer stalking people or some other unknown circumstance that is causing an anomaly. You are not going to see it, if it isn’t put into a database. A police officer in Conroe, may never know there is several people missing in the nearby city of Spring because they were never put into a database. The majority of police departments in the U.S. go by a standard that is, if the child is under 10-12 and if they think there there is foul play suspected, they them put the child on their missing persons list and/or NCIC. Sadly, in some cases, foul play is not found till there is a thorough investigation or the child has been missing for a lengthy amount of time. And if we are talking about a runaway, although they may be put on the list, getting the police to thoroughly investigate that is very slim. Not just for Texas, but all over the U.S. Police go by stats and the statistics show that the majority of teens eventually come home. So, unless there is foul play known, nothing more than cursory information is taken.In the “Missing, but who searches? article, “…whether the department would involve state and national agencies depends on the circumstances. In most local cases, the child or person is found right away. He said the last missing child the department had was found within 24 hours. However, if not found in a short time, Dorner said the information would be entered into the various computer systems and while the news media might not be notified right away, he would certainly put out a press release. “The more eyes out there the better.”In the article, Parents, authorities won’t help find children, “…Sgt. Jim White, and several other deputies, [said] that since Nopp was classified a runaway, the department did not have the money to look into her case. List of Missing in Texas So, after several weeks of research, a list of people missing in Montgomery County and Liberty County Texas was created, as shown below. Whether there is something nefarious going on or pure coincidence requires even more research and study.Over a 33-year span, the list shows ages ranging from 12-70, all races and both sexes. The first person missing was in 1979, then 1983, 1986 and so on, but once they went missing they remained missing.What I have found is that there is small similarities. There was a group of seven teens that have gone missing from Montgomery County since 2008 and six of them were on foot. I noted that most people missing were from the towns of Spring and Conroe. But the most interesting is that the majorities were walking when they disappeared.Were these people offered a ride and picked up by someone and were “spirited away?” And if we are to assume that all of these people or even half of them are dead, where are they buried? Could they all be in the same place, like Sam Houston National Park? Unless, one or more of these people are found, we will never know, and I can guarantee you that the list will continue to grow. Note: 2/4/13 – Contrary to what I believed when I wrote this story, there has been no more reported missing people in those two counties since early 2012. I do not know if this is because someone who may be responsible is now in jail or what. POSTSCRIPT: In late 2014 another missing and in 2015 two more missing have been added to the list. POSTSCRIPT: In 2015 another person went missing bringing the total to three that year. In 2016 two went missing and in 2017, three went missing. UPDATE: Is there a connection between alleged killer of Mickey Shunick and the Missing Texas Forty? Lafayette Police Chief Jim Craft says a burned truck found in San Jacinto County, Texas, that was registered in Montgomery County and belonged to Brandon Laverne was the key to his arrest. Click here to read. Will more victims be found connected to the alleged killer of Mickey Shunick?Israel Keyes: Keyes was in North Texas in 2012 where police said he spent Feb. 12-16 driving around Azle, Aledo and Cleburne in a rented car. “He made a number of statements to us that made us think that he did something in Texas,” said Goeden, part of the Alaska-based federal task force investigating Keyes’ crimes. Keyes had said he also visited the Post Oak cemetery near Glen Rose. His mother and sisters attended a fundamentalist church in East Texas, and Keyes said he was often visiting them. Keyes was arrested March 13, 2012, by the Texas Highway Patrol in the parking lot of the Cotton Patch restaurant in Lufkin after he had again used Samatha Koenig‘s debit card, which he had previously used in New Mexico and Arizona. Keyes committed suicide in an Alaskan jail in 2013. Read more about Israel Keys here. Interesting Fact: Self-professed Serial Killer Henry Lee Lucas (died in 2001) confessed to many murders in Montgomery County, in 1983 amounting to about 600. DNA is slowly but surely proving that many he confessed to he did not do. How to use the list Compare this list with the numbers on the map above, and you have a real understanding of how many missing people that are clustered around one area. Also, each name has several links from where information was obtained. The most recent missing people are at the end of the list, so when you look at the map, numbers 40 and descending will show you the most recent cases. Also, a reader brought this information to my attention regarding Spring, Texas: ” Spring is an UN-incorporated area of both Montgomery and Harris counties. It is a very large area that includes any and everything between the cites of Houston, Tomball, Conroe and Humble.” Allie Lowitzer from Spring is actually Harris county, but she is included in the Missing Texas Forty list. They have remained on the list with their original number even though. ALSO, there are several that are on the list that went missing from a nearby county and are on here either because they lived in Montgomery or Liberty counties or was known to be there before they went missing. Lastly there are a few that have been found and they keep the original number but will show “found” next to their number. Also, please check out the notes after the list to see some more pertinent information. Information about the disappearance of Toby Coleman has been lost over time. NamUs MP # 137662. On or about December 8, 1986, Rita Hughes’ husband reportedly took her to the bus station in Houston, Texas for a trip to see relatives in Louisiana. Family in Louisiana stated that Hughes never arrived. Hughes has not been seen or heard from since. Foul play is suspected. Darrell Cade was found in the woods at the mont co airport a few years ago shot to death. On March 22, 1988, Darrell Wayne Cade left with associates. The associates later told family members that they had dropped Cade off, at his request, at the Montgomery County Fairgrounds located on FM 1484 outside of Conroe, Texas. Cade has never been seen or heard from again. Foul play is suspected. In 2010, MCSO Cold Case Detectives received DNA database (CODIS) hit with DNA associated with MCSO Missing Person, Darrell Wayne Cade, under MCSO case # 8824419. It has been brought to our attention that there are two Pinehurst, one near Conroe in Montgomery County and the other Pinehurst (used to be Pinehurst Heights) is in Orange County near Beaumont. I ran the address and it shows that this Pinehurst is the one near Beaumont, which would be Orange County. So Eulan disappeared from Orange County, not Montgomery County. Hodgkinson was last seen at his mother’s house in the 3800 block of Pheasant Street on September 11, 1988. Hodgkinson was a welder, had came in that afternoon to shower, then headed out to pick up a part for a grinder that needed to be painted. His mother knew he was planning to come back soon, because he left his welding equipment out, something he never did for long periods of time. Hodgkinson told her not to worry about making him anything for supper, because he would eat while he was out. According to reports, Hodgkinson left his mother’s Pinehurst home to visit with his employer and give him the status on a welding job in progress. He disappeared after leaving his boss’ home. His vehicle, a 1988 Dodge Dakota pickup truck, was found abandoned two days later on a dead-end dirt road in a wooded area off of FM 1130, on an old oil field road that led to a soybean field in rural Orange County. The vehicle was locked and the keys were missing. A camera, semiautomatic rifle, a military style rifle (AR15), and a large stereo player were missing from the truck. His jack had been taken out of the cab and thrown in the back of the truck. The truck and its tires were new, and there was no reason for him to have the tire jack out. Four days later, his father walked into the Pinehurst Police Department to report that his son was missing. Intensive searches were conducted by police, deputies, friends, families and civic organizations. Foul play is possible. Light was last seen when her mother-in-law dropped her off in the parking lot of her apartment at about 02:00 am. Earlier that evening, she had gone to get groceries to make Thanksgiving dinner for her 3-year-old daughter. After that Lorraine went out with friends. When her sister came home at around 03.00, to the apartment she’d shared with Lorraine, she wasn’t there. In the kitchen, the sister saw grocery bags on the floor and a turkey defrosting in the sink. The answer machine was blinking, and when the sister played the message, she was confused. The caller said it was Lorraine, but it didn’t sound like her, saying she had met someone and was going to Mexico for a few days. Her sister knew Lorraine would not have left, especially on Thanksgiving. When Lorraine didn’t show up by Thanksgiving evening, her sister called police, and Harris County Precinct 4 Constables responded and took the report.At some point, the case was transferred to the Harris County Sheriff’s Department’s Homicide Division, and the records have been lost. Beaudoin and Calhoun left The Woodlands together in a gray 1979 Chevrolet Suburban, bearing Texas license 655-4RC. The vehicle, which has two black doors, was pulling a small, box-type trailer, bearing Texas license 786-BMN that is blue with a silver top. On July 19, 1992, the Suburban and trailer were found cut into pieces along FM 1725 and Dabney Bottom Road in San Jacinto County. Beaudoin and Calhoun were supposed to meet two unidentified men at Salty’s Bar, just north of Conroe on FM 1484, but they apparently never reached the tavern or did not go inside. Beaudoin and Calhoun, coworkers at an automotive repair shop in south Montgomery County, were reported missing by their wives two days later. Foul play is suspected in both cases and may be drug-related. Wells, 92, was last seen January 27, 1993 on Lilley Street near the Corrections Corporation of America prison in Cleveland. Wells is 5’2”, with gray hair and brown eyes. At the time of her disappearance she weighed 130 pounds. One of the flyers that her family has distributed states that when she disappeared Wells was suffering from Alzheimer’s. The family knows that after almost 20 years finding Wells may be difficult, but they hope that someone, who may not have come forward before, may know something. “We hope that something shakes loose,” said Pearlie Price, Well’s niece. Jane McDonald-Crone left her home near Magnolia, Texas for her job at Baker-Hughes Tool Company in Houston, Texas the morning of November 12, 1993. On November 12, 1993, Crone reportedly visited the City Limits Club, Willie’s Night Life Club, and Twigs Club in northwest Harris County. On November 15, 1993, Crone’s husband reported her as a Missing Person. Crone’s 1982 blue Ford Mustang, with Texas license number FXY-01G was found November 16, 1993, in southwest Montgomery County, Texas, a few miles from her home. A work crew in the area reported seeing the car at this location on November 13, 1993, at about 7:00. Her purse and identification were not found in the car and there were no signs of violence, although the textbooks she used at her community college classes were there. Crone was attending North Harris County College, in Tomball, Texas at the time of her disappearance. On December 16, 1994, Dudley Scott walked off into a wooded area in the 2000 block of Creekwood Drive, Splendora, Texas. Scott was not seen or heard from again. Foul play is possible. Mr. Scott has Downs Syndrome, is mute and on medications, which when not taken may cause disorientation and seizures. He has no teeth and a vertical scar on his abdomen. Mr. Scott was last seen wearing blue boxer shorts, blue short sleeved coveralls and brown lace up boots. Mr. Scott carries a homemade identification card, two wallets and a red Swiss army knife. 65. 6/18/96: TerriLynn Fregia, w/f, 23 y/o missing from Tarkington, Texas in Liberty County Texas MP Clearinghouse Case Number M1507003, Last seen on 6/18/96. Info found in 2017. 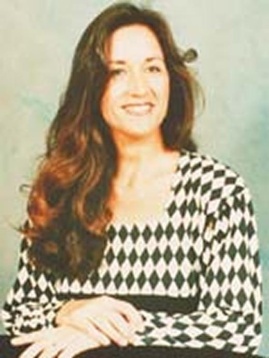 Tina was last seen inside her residence at 517 Silverdale in Conroe, Texas on July 14, 1997. Bowen lived with her parents, her mother last saw her at home in the predawn hours of July 14. Tina’s mother had checked on her daughter around 3:30AM while she was sleeping, and when she checked on her again at 9:00AM, Tina was gone. Tina was reported missing when her mother learned later in the day that she was not with her boyfriend. Foul play is suspected. Prasek was last seen by her mother at 7:30 in their home in Spring, Texas on December 19, 1997. This was less than an hour before she was to leave home to get on a bus for school. Michelle may have been on the school premises that day, but she did not attend classes. She was a seventh-grader at Knox Junior School in The Woodlands. The next day Michelle’s mother reported her missing to local authorities in Montgomery County, Texas. Michelle had reportedly quarreled with her mother about shopping plans. Michelle has had no prior history of running away and no trouble with the law or school. She was a good student academically. Michelle’s parents are divorced and, prior to her disappearance, she was looking forward to spending the Christmas holidays with her father in Kingsville, Texas. The family including another daughter moved to the Spring area near the Woodlands from Louisiana in September. Michelle may have a sleeping bag, a handmade patchwork quilt, $20 in cash and her orange Tabby cat with her. She may have left the state. The girl’s mother first thought Michelle might have spent the night with another girl. Foul play is suspected in Michelle’s disappearance. Michelle has a birthmark on the palm of her hand. Marcos Zavala was last seen at Esmerelda’s Bar in Willis, Texas with three or four unknown Hispanic males. He was never heard from again. Few details are available, but foul play is suspected. Texas Missing Persons Clearinghouse Case Number M9804012, Missing 3/17/1998 from Montgomery County Clarksville Tennessee last seen in Montgomery County Texas, Please see note. Discovered missing by MPofA recently. Has number out of sequence because of that. NOTE: It appears that this case is out of Montgomery County Tenn. not Texas. There is a Clarksville, Texas but it is NOT in Montgomery County. I contacted the TMPC and was told that she was spotted in Montgomery County Texas and that is why she was on the site. I found a MP poster from the FBI for Shannon and it only says she is missing from Tennessee. So, is Montgomery County Sheriff confused and she was NOT in Texas? Patricia was last seen in the vicinity of the 2400 block of Beaumont Ave., in Liberty, TX. Kenny was last seen in the vicinity of the 21000 block of Countryside Rd. near FM 1960 East. His vehicle was located abandoned and burned the following day on Huffman Rd. in Huffman, TX. His father related what he knows of the night his son disappeared — Jan. 22, 2008. A buddy of Rodney’s had picked him up at the family’s home and taken him to Brookhollow Apartments for his buddy’s birthday celebration. What he knows about what happened next is based on the friend’s account and what police have uncovered.“His buddy and girlfriend were arguing so Rodney said he would leave, and left on foot. He made a couple of phone calls including one to his girlfriend. He made a couple more phone calls after that but the battery on his phone was going down,” said his father. The last of the calls he made pinged, or connected, off a cell phone tower on Wells Road off Plum Grove Road. After that, no calls were made from the cell phone and no one ever heard from Rodney again. “Everything was going good and then Rodney disappeared. It’s not like him to be gone and not in contact with us,” said Rodney Sr. “That’s where his trail ends.” The “not knowing” is the worst part of it all for the Stokley family. She was last seen boarding a Greyhound bus in Dayton, Texas in route to San Antonio, Texas. Cher-Lon called her daughter on the phone and said that she was leaving her boyfriend. She has not heard from since. Amber Gallagher, age 15, disappeared from her home in the The Woodlands on Friday, May 23, 2008 and has not been seen or heard from since. It is not known what Amber was last wearing. http://texasequusearch.org/2008/05/missing-amber-gallagher-15-yrs-the-woodlands-tx-052308/ UPDATE 3/19/13 – We were informed that Amber Gallagher was found safe. We believe this was some time ago, and she has confirmed it with this office, per Texas Equusearch. 23.06-10-2008: Walter Brawner, w/m, 67 y/o. Shepherd TX (Found him to be missing from San Jacinto County and not Montgomery or Liberty – leaving here for now [7/23/12]) Two of Mr. Brawner’s children had stopped by to visit him for Father’s Day in 2008. Mr. Brawner’s vehicle was in the driveway, but there was no response at the door. The adult children went to a neighbor who had a key that allowed them entry into their father’s home. Mr. Brawner was not there. The children became suspicious of the neighbor upon asking some questions and called the local authorities and reported their father missing. Mr. Brawner has not been found to date. Foul play is suspected and the neighbor is a person of interest in this case. Shartavia Davis, age 14, was last seen near Red Oak Drive on FM 1960 in Spring, TX. She was last seen wearing red knit shorts, short sleeved shirt, color not specified, and blue jeans. One source reports that Shartavia had been found safe, but that appears to be unsubstantiated with the agency quoted. Swinney was diagnosed with schizophrenia at a young age, and required constant supervision and medication given by injection. Carl was living with his brother in New Caney TX. 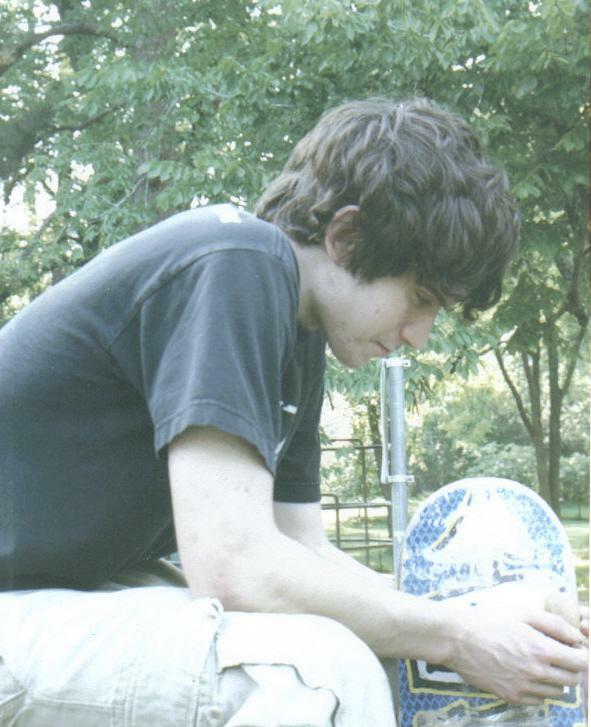 At 8:30 AM on December 19, 2008, his brother went to get Carl for his injection and Carl was gone. A search of the area was conducted, but Carl has not been found. Lindsey, who has been diagnosed with autism and a severe seizure disorder, was last seen between 4:30 and 5:15 AM on March 4, 2009. He walked away from the care home where he resided, as he sometimes did. When Lindsey would walk away previous to that date, he would go to local vacant houses and wait to be found. Unfortunately, he was not to be found this time. Faustino Torres, age 38, was last seen on January 21, 2009, in Humble, Texas. He was on his way to work when he received a call not to come in. Mr. Torres then called his home at 7:20 a.m. to state that he was on his way back there, but he never returned. He was wearing jeans (torn at the knee), maroon t-shirt and white tennis shoes. Please call if you have any information. The child went missing on 11/23/2009 from Peet Junior High School. She has pierced ears. https://www.findthemissing.org/en/cases/11071/4/UPDATE: The link above shows that Samantha has been found, but no date when that happened. A 54-year-old Cleveland area man remains missing and endangered on Monday. Larry Richard Baker, Sr. suffers from multiple serious health problems including high blood pressure, multiple strokes and the beginning stages of dementia. Baker, who lives near the intersection of Plum Grove Road (FM 1010) and CR 325 was last seen Thursday night by his sister who lives on the same property when she took food to him. UPDATE 8/15/13 – The Liberty county Sheriff’s Office announced that the human remains found on Gladstell Road (CR322) on April 12, 2013 do not belong to Rodney Stokley, Larry Baker, Mark Rhineburger, Dennis Rogers, Edwin Rodgers, or Westley Moore. The preliminary forensic tests show that the bones belong to a person who was Hispanic or “a similar popular description,” and was between the ages of 15 and 20 years old and 63.5 to 67 inches tall. Because no DNA match has been found the body remains unidentified. A skull was found in Dec. 2018 and it was sent to see if it could be identified. It may be a year before anything is known. Read here. Ali Lowitzer got off her school bus at 2:45 PM on April 26th close to her home in Spring, just south of Montgomery County, TX, then walked less than a quarter mile to the Burger Barn where she worked. Ali was excited about her first job working for the Burger Barn and was going there to collect her paycheck and to find out if she could work that evening. Ali did not make it to the Burger Barn, and at 3:00 PM all communication with her cell phone stopped: Ali was avid at text messaging, sending an average of 4000 messages per month. Her family and friends have not have any contact with her after that time. Price was known to hangout in the Cleveland, TX area and he has a four inch scar on the bottom right side of his abdomen. Last seen wearing a black t-shirt and blue jeans. 08/20/12 — The body of Virgilio Kison was positively identified. Virgilo Kison walked away from nursing home unattended. MP suffers from multiple medical conditions to include Parkinson’s / Schizophrenia and Dementia. He has not been located and remains missing. Investigators believe that Kison was last seen walking north from FM 1314 on the south bound service road of US 59 on Sunday, August 21, 2011 at approximately 7:00 PM not far from the Pine Shadow Retreat Nursing Home. Green has multiple tattoos, which consist of moon and star on her left arm, “TRG” on her left hand and the sun on her right ankle. She was last known to seen in a white 1997 Ford F150 pickup in route to Nevada and Utah with an adult male and female. 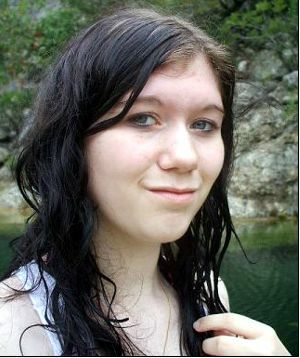 Lesa McKinley, age 17, was last seen on September 21, 2011 at approximately 12:30 p.m. in Spring, TX. Lesa was driving her 1996 ford Taurus maroon faded dent in drivers door/ hawk claw handing on rear view mirror, with TX License Plate No. CR9J627. She was last seen wearing Skinny dark jeans, black flat shoes and carrying a very colorful beach bag. TJ, who was a 24-years-old and a student at Sam Houston University in Huntsville also umpires Little League in the Woodlands. On October 18, 2011, after he finished umpiring a game, he met with some friends at The Rocks Sports Bar located at 592 Sawdust Road. They were to meet an Army buddy on leave there but the friend was delayed. They then shot some pool and at midnight TJ called his father and told him he was leaving his father’s truck at On The Rocks and was riding with friends to Rookies at 305 Sawdust Road just a short distance away.At 12:30 a.m. he talked to his father again and said he was at Rookies and had been separated from his friends, but would return his father’s truck to him the next morning at Oak Ridge High School, where his father is a a teacher and a coach. On October 19, his cell phone was found in a nearby ditch and the truck in the parking lot of the first club. TJ has not been heard from since. His father said it is not like him not to call him or any of his friends. 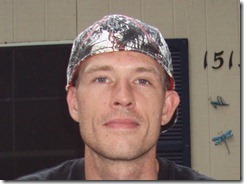 38.FOUND 02-04-2012: Rocky Reynecke, w/m, 27 y/o. Conroe, Montgomery County, TX. UPDATE: Rocky has been found. I received a message from his family and they say he is safe and is on his way home.Rocky disappeared after he walked to a local Walmart. Video surveillance shows Rocky alone. 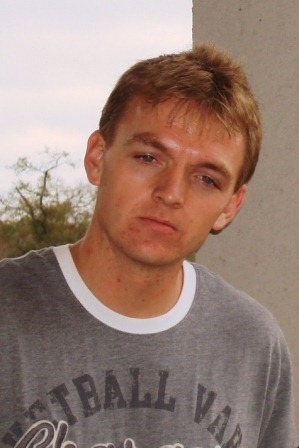 Rocky is from South African and is in the US on a student visa; he has a strong South African accent. UPDATE: On March 5, it was confirmed that the body found by the San Jacinto River was Reina Janeth Cornejo Trigueros. Her boyfriend is still wanted for her murder and officials have continued to search for him.Cornejo-Trigueros, who is of Honduran descent, was last seen at 8 a.m. Monday when she left for work, according to a news release from Jefferson County Sheriff’s Deputy Rod Carroll. She contacted her employer at around 9 a.m. from a pay phone at theValero Station on Texas105 and Texas 326 in Sour Lake and said she was going to be late for work, Carroll said. Cornejo-Trigueros did not go to work and no one has heard from her since that phone call, Carroll said. The vehicle she was seen driving is a champagne 2007 Nissan Titan four-door pick-up with license plate number 50LSB9. The truck has a dent in the tailgate with a black and white sticker covering it.She could be in the Conroe area, Carroll said. 40. 02/15/2012 Mark Larry Rhineburger, 39, from Crosby, Texas Liberty County was last seen at the Shell gas station on FM2w100, Indian Shores subdivision on February 15, 2012 around 5:30 a.m.Mark was driving a 2005, white 4-door Chevy pickup with a crew cab. His truck was found on February 15, near County road 2148 in Liberty County near Romayor, Texas. It was out of gas.Mark is 5’10” tall, 170 pounds with brown eyes and black hair. (New information has come out about this case on March 22, 2012. Click here to read. After this article original ran, more people have come up missing although number 38 and 39 has been found. The number is now 42, with the addition of Westley Moore #47, the count is now 43. 41. 03/08/2012 Dennis Rogers, 54, from Plum Grove, Texas Liberty County was last seen going for a walk in the woods near his home on CR 347 South. He called 911 and told them that he had gone too far and was lost. The authorities reported on March 13 that the case was now criminal and would not elaborate any further. 45.FOUND 8/1/2012Marva Sheppard, 28, (B/F) UPDATE: 3/15/13 – I have received calls that Marva has been found, but she is still on the Texas Clearinghouse as missing. A call and an email I made to the Conroe Police Dept. for clarification on her status were never responded to. Area Last Seen: Conroe Montgomery County Notes: Marva was last seen enroute to Houston to look for employment. Her white 2004 Pontiac Grand Am was recovered abandoned. Conroe police stated that Marva was no longer missing on 2/14/13. 55. 6/12/12 – Melba Sue Lyons, 61, from Cleveland, Texas in Liberty County was last seen the night of June 12, 2012. Her family said that Lyons taken from her Shepherd home by ambulance to Kingwood Medical Center. But hours later, she was gone, leaving the hospital unsupervised. A video shows Lyons leaving the hospital through a side door and running across the parking lot. Westley Moore, 32, (W/M) Westley Allen Moore, 32, has been missing from Liberty County Texas since June 9th, 2013.Authorities searched for him near the pipeline area near the 6800 block of Outlaw Bend where Polk County, Hardin County and Liberty County all merge together and specifically Hardin County where Mr. Moore was last seen. Joy Upham, 65, was last seen on December 28, 2013 in the area of East Davis and Loop 336 East in Conroe, Texas, according to Montgomery County Sheriff’s Office. Joy was last seen wearing black pants, a black jacket and brown boots. 49. 7/9/14 FOUND – James Buckner, 57 went missing from Montgomery, Texas on July 9, 2014. He was last seen wearing a white 2003, Chevy Silverado 2500 4-door pickup truck with Texas plates 3OHYD9. – UPDATE 8/13/14 – James’ remains were found in a wooded area near a deserted golf course in Livingston. 50. 4/28/14 – FOUNDChristopher Maes, 23, from Hardin, Texas has been missing since Aug. 28. He was last seen leaving his parents’ home in the area of CR 2367 on August 28, 2014. Human remains thought to be those of Christopher, have been found by members of the Texas EquuSearch team in Dec. 2014. However, positive identification of the remains must still be confirmed by law enforcement investigators and medical authorities. 51. 11/19/14– FOUND Brian Orolin, 42, was last seen in The Woodlands part of Spring, Texas on November 19th 2014. According to Texas EquuSearch “Brian is a military veteran that suffers from PTSD, and is disabled from a traumatic brain injury he suffered during his last tour of military duty.” Remains found behind house in Dec. 15 and positively identified in Feb. 2016. Danielle Sleeper, 32, was last seen at home in Magnolia, Texas in Montgomery County. She was on foot and has her purse and phone with her. 53. 5/25/15 – Clint Miller, 26, from Moss Bluff, Tx, located in Liberty County. He has not been seen since his home burned down. 54. 9/24/15 – Ryan Tucker, 30, from Conroe, Tx, located in Montgomery County. Conroe Police are asking for assistance in locating Ryan Tucker, a 30 year old white male who suffers from Asperger Syndrome and seizures. Ryan is approximately 5-10 and weighs 200 pounds, last seen wearing a blue Nike shirt and blue jeans (same shirt pictured in photo). Anyone with information is asked to contact Conroe PD at (936)522-3200. 56. 10/27/16 – Donna Kay Cloud, 19, from Splendora, Texas (Montgomery County) Oct. 27, 2016. Said she was meeting a date at the Texas Roadhouse in Kingwood. She has not been seen since. Andra Bradshaw, 70, of north Liberty County, last spoke to a relative by phone on July 1, but has not been seen or heard from since. When investigators visited her home south of Cleveland at #53 CR3280 and found a television and lamp were on. There were large holes in the floors and walls, and doors were unsecured. Investigators located bone fragments around the residence and have sent them to a Beaumont lab to determine if they are human or animal. 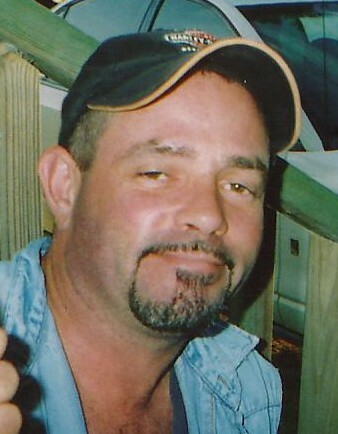 58.4/19/17 – Donald James Phillips, 54, Willis, Texas (Montgomery County) April 19, 2017. Last seen by his boss. Car was found in the Sam Houston National Forest on April 20, but sat until May before it was realized it belong to Donald. The rangers believe the car was burglarized as his belongings were missing. 60. 9/19/16 – Stephanie Melissa Castillo Ramirez, Texas Clearinghouse Case Number R1609010, Missing Since 9/19/2016, Montgomery County (as of 5/31/17 still missing). She may be with Lucio Gabriel Lopez. 61. FOUND Yamilex Alanis Texas MP Clearinghouse, Missing since 3/5/2017, Case Number R1703002 (as of 5/31/17 no file found) Assume she was found. 63. Jeremy Sirkel, 24, is from Cleveland (Liberty County) but reported missing from San Jacinto County, lived in Liberty County. His last whereabouts were given by a friend. He may have gone missing elsewhere. Related Information:Since this story ran, I have been receiving information from readers that have found information about law enforcement databases in other counties and cities, so I have and will continue to add that information into this article, as it comes in. Note: The Clearing House for the Texas Dept of Public Safety, which acts as a liaison between the Texas Dept of Public Safety (Government) and people, contacted me and asked us to let every one know that anyone can call and get their help:“We are here to help all families of missing persons and provide assistance to law enforcement whenever asked. We act as a liaison between families and law enforcement. Not every person that is reported missing is listed on our site. We do not use a set criteria to put someone on our website. If a family wants someone to be listed all they need to do is call. We are here to help. Our website is www.txdps.state.tx.us/mpch. You can also reach us at 512-424-5074.”Their criteria for being listed is on their website here. Note: Contact from a family member or law-enforcement officer can get the missing person’s photograph posted on the Texas Dept. of Public Safety Website – If you have a family member missing from the Montgomery or Liberty Counties, please contact them and have them have them add your MP’s photo. The I-45 corridor, beginning 50 miles southeast of Houston at Galveston, runs through Houston (Harris County) and north through Montgomery County. This stretch of highway has a lengthy history of being a dumping ground for murdered young women. In October 2011, a movie, Texas Killing Fields was released in theaters. On October 22, 2011, CBS News’ 48-Hours aired “the killing fields: the true-life mystery of the Texas killing fields.” That report is available to watch here. The Houston Chronicle also ran a blog entry “A Look Back At the Texas Killing Fields” with links to previous articles detailing over 60 murders. Although not named, I believe that Brandon Lavergne should be added, too. Although this is all about missing persons, while doing the research for this article, Helen found a document that summarizes 59 cases of unsolved homicides/deaths in Montgomery County between 1979 and 2007. Many were reported missing persons before they were found. Click here to see the profiles. Do you think there is a lot of people missing from your city or county. Let us know about it. Please note that as of 2017, I will be going to cities in Liberty County (first) to begin investigating these cases. My first trip was on July 15, 2017 where I spent the weekend in Cleveland, walking the last route that Larry Baker and Rodney Stokley took. This is the first of many more research investigations I will be doing as part of this series. If you would like to donate to this quest, you can do so below. The video is posted below, we are looking for donations to help us film the next one. In 2018 three more videos were done. Until we receive funding any future trips are on hold. If you would like to sponsor the next video please contact us at missingpersonsofamerica@gmail.com. My classmate Rocky is on your site and I appreciate it so very much I am sickened by this information and have known for a time our county was corrupt but reading this makes me sickened! I want some type of justice for the families of the missing that includes Rocky's family his mother can't even get a call back from the detectives which again this would explain more! THANK YOU SO MUCH FOR YOUR SITE and I HOPE all of the MISSING are FOUND! I would really like to talk with you about this article. I work in the Missing Persons Clearinghouse at DPS at would like clear some of the information up. We are here to help all families of missing persons and provide assistance to law enforcement whenever asked. We act as a liaison between families and law enforcement. Not every person that is reported missing is listed on our site. We do not use a set criteria to put someone on our website. If a family wants someone to be listed all they need to do is call. We are here to help. Our website is http://www.txdps.state.tx.us/mpch. You can also reach us at 512-424-5074. At least two others are currently missing from the same area since this story was published. Very Disturbing. Thank you for posting this info and pictures and for all the research you have done. Prayers for all the missing and for the families and loved ones of each. Yes, Bradley Clark and Dennis Rogers, they will be added today. You have done some great work here. Pleasse keep it up! Virgilio Kison has probably been found, but still waiting on DNA. And today an Amber Alert for 2 yr old Devin Davis has been issued. Missing in Liberty Co.
Helen and me are checking in to the missing seven girls. Ali we have on the list and if they are outside the Liberty or Montgomery county area, we would not have them on the list. But, we will double check to make sure. Oh, thank YOU very much for posting that. 🙂 I didn't think you'd respond as fast. Keeping the others in my thoughts & prayers. I hope he is found safe! My heart goes out to the missing and their loved ones. Who is on the road a lot and can easily pick up people who are walking? Who are they likely to trust or not resist? Who is likely to be limited to mainly one county but occasionally drifts into another? Who has access to all areas and has a good working knowledge of the area, the places most likely to get searched and the best way to dispose of bodies? Am I the only person who sees this pattern pointing at a cop? I agree with you. That's sick if it is. We're supposed to trust these people and they abuse their power in so many ways. Wouldn't be the first time a cop is guilty of things like this. I really hope those who are still missing are found soon. Makes me sick to hear about missing people. Makes me want to keep my kids inside under my supervision at all times! A case of a police man abducting and killing has taken place in Kansas City Kansas area in the past year. He had grown up in my area, became a cop here, then moved 150 miles away to KC Kansas. Everyone here was stunned. So YES, it happens, and unfortunately we don't learn much about these cases. Having spent considerable time in the area where these people have gone missing, I am freaked out by this even though it was 20 years ago. I loved this part of TX. Sure hope these people are all found and that no more go missing. Have you guys seen the way Houston cops treat people? Just check YouTube and do a search for Houston PD and you will get some disturbing videos. The one I just saw was the Houston officers taking a protester and throwing him into one of their car because he refused to give them more than his name and birth date, and when the crowd roared that this abuse was unwarranted, another cop took his shotgun, cocked it and pointed it at the crowd. Sickening to watch. I know without a doubt that if you're that unstable, you're unstable enough to kill innocent people. So it's not only possible, it's plausible. The Tabor girl was found in OK. Also, I would like to explain something in regards to the “city” Spring. Spring is an UN-incorporated area of both Montgomery and Harris counties. It is a very large area that includes any and everything between the cites of Houston, Tomball, Conroe and Humble. I do not wish to downplay the number of people that have come up missing from Spring, just to point out that figuratively speaking, “Spring” is the equivalent to 4 or 5 separate areas/towns. Thanks, I have marked her found. Thanks for the clarification of Spring. #6..Eulan Hodgkinson, Jr. is from ORANGE, TEXAS and was killed in ORANGE County, not Montgomery County. I think this is a great site but hate for something to be in there that doesn't belong. His murder has never been solved but was reported to be drug related. According to the Texas Historical Society Pinehurst is it near Conroe in Montgomery County and Pinehurst (used to be Pinehurst Heights) is in Orange County near Beaumont. I ran the address and it shows that this Pinehurst is the one near Beaumont, which would be Orange County. I worked as a sales rep in Montgomery County, in Spring, The Woodlands, Magnolia, Conroe, Willis, Montgomery, Cleveland, New Caney, Porter, Huffman, and Humble/Kingwood. In Liberty County, In Dayton, Crosby, Liberty and sometimes Beaumont. My point is, I was one of probably hundreds of sales reps working for various companies selling and servicing many businesses. I've stopped at many bars and clubs with co-workers to have a drink or two after work on many occasions. I'm thinking, people in my line of work should be looked at a little closer. They may be assigned to these territories, but don't necessarily live there. I would be curious to know if anyone has ever done a business sweep to talk with business' owners who see an average of 5 or more reps a day for various reasons. I may be way off base, but I would not care if I was placed on a watch list or investigated. If it could possibly lead to solving some of these missing persons cases. It seems that most of the serial killers who are caught have a red flag somewhere in their background. I have a gut feeling that law enforcement is actually behind some of these missing person reports. I have lived in Texas and I know how the Police officers are there. In one case a person had been reported missing 08-01-2012. It was reported to the woman's best friend on 02-14-2013 that she had been found by Montgomery county law enforcement. HOWEVER, This has not been confirmed. As the Montgomery County police have refused to accept, or return ANY of the friend's calls. Nor have they removed her from the missing person's list on Texas Clearinghouse! Another case in Spring Texas- The police LOST ALL of the evidence AND records for a 21yr olds missing person's case! I actually heard a police officer in Montgomery County Texas say to another officer how easy it would be to make some one disappear! If you think about it 90% of Conroe police officers are people who were bullied as a child ( For whatever reason), and now they are pissed and only out for revenge and cruelty! They are now on a power trip and ready to do some bullying back!! It is more like ” Hell has no fury like an cop scorned!” I have met WAY MORE corrupted cops than good one's. They are the law and when it comes down to it- it's your word against theirs. In this sense they literally get away with murder! Last example: A black male football player was murdered. He had been dating a white girl, whose father is a cop. The boy was told to stay away from the girl; as the girls father did NOT approve. The father has one of his buddies pull the young boy over. The next thing you know the boy is DEAD! They CLAIM he shot himself – WITH a shotgun when he was pulled over! 1st of all- It is IMPOSSIBLE that at the angle of the bullet wound that it was self inflicted! 2nd- He had just left his girlfriends house- after sneaking to see her- She claims that he was in good spirits when he left her house. 3rd- Family and friends say he was NOT depressed about anything. 4th- He was a star athlete with offered scholarships to college. He was also an honor student. He had NO motive for suicide. — His murder is still under investigation today. And his murder is STILL listed as an unsolved murder!! The COPS WERE the LAST ones to see him alive! That IS a FACT!!! They have a timeline chart that goes from 1997 until 2012 with his known locations. They are looking for missing persons in those areas during those timeframes. 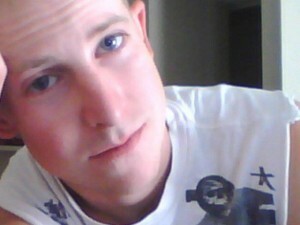 A man in san angelo has gone missing also named brandon lawson he broke down on the hwy outside of Bronte tx . ..he made a 911 call in the call he states “I ran outta gas !! I ran into someone im being followed im hiding in a field please send help fast call was den disconnect when 911 operater asked if he was hurt…family member came with gas n brandon wasn't at his truck n was never heatd from again this happened 17 wks ago xops wont help said no sign if foul play..but his family has put in search parties but nothing..
November 2013 outside of jasper tx man was missing same similarity to Brandon lawson however his body was found ..I believe we have a serial killer that is preying on people that brake sown at night on the roads ..
How is Brandon Lavergne the “alleged” murderer of Mickey? He admitted to it and showed us where her body was… it's why he is in prison. That being said if he is responsible for the disappearance and murder of other people I hope he is brought to justice for every single one of them. No disrespect intended, Charlene. I use that term often until someone admits or is convicted and that sometimes takes years. I will start a story and add to it, running the storyline backwards and in the beginning there is usually no admittance or conviction and that comes later, but the title remains the same. I do not believe that we will ever know the full scope of what Lavergne did. He holds the answers to many missing people, but I doubt he will ever say. Bradley Keith Clark was found safe a few weeks after he was reported missing. Yes my brother edwin brown missing since april 2013 has not been seen or found from houston texas . My family has nothing period from harris county police department . We are devastated over this . Its the worst thing a family could ever go through in a life . No answers to anything period !!!!!! If your not careful, trying to help can make you the criminal. I have found this out. It's all screwed up! I noticed several mentally handicapped people on the list. I would only expect one or two to turn up for such a small area especially with no remains. I can't imagine there are more than a couple professions that would bring you into these peoples lives….I'm assuming whoever did it would also know that the victim would be high risk for wandering and possibly getting lost due to their mental status. In my mind if I am a caregiver and my relative (or whoever the case may be) wandered off the logical order would be the caregiver staying at home in case they return while an officer (or other person of authority….) searched…..especially if the relative had wandered in the past. Hmmmm….. The large array of diversity in and of its self speaks volumes. Usually an individual serial killer has a type. With the glaring absence of reoccurring likenesses in age, class, gender, or race I think it looks a lot more like a crime of opportunity. And what type of person finds themselves around bar patrons, stopping for (or pulling over) random vehicles, stopping for lone walkers, talking to school children or at risk teens without raising suspicion. It makes it easy to suspect that it's not your typical faceless monster. Danielle Sleeper has been missing since March 22, 2015. Thank you, and she has been added. Her family has raised the reward to $21,000. My only hope is that Danielle's case may help bring attention to all the missing in that area AND media will pick up on it and start reporting on it.